Bronx native Jaden Miller, 24, could've had a better life, but fighting within a prestigious school cost his scholarship and an expulsion. Now a high school dropout working from job to job, evicted with nowhere to call home, he decides to train as a boxer under discredited trainer Duane Taylor. 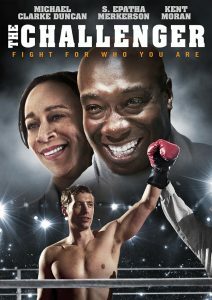 The local PBS station picks up on the story and wants to document Jaden's progress as he becomes slated to take on the champion, James Burchard, an undefeated boxer of less-than-appealing character. Jaden's mom, Jada (ailing from a heart condition), sees no good in this, as it was fighting that so far ruined his life, but Duane sees within Jaden an it factor that could make him great.